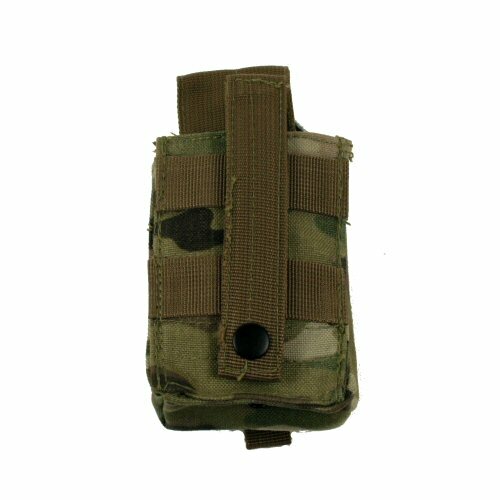 The Crye Multicam Bulle MOLLE blank firing grenade pouch is designed to fit exercise and blank firing grenades up to 50mm diameter. 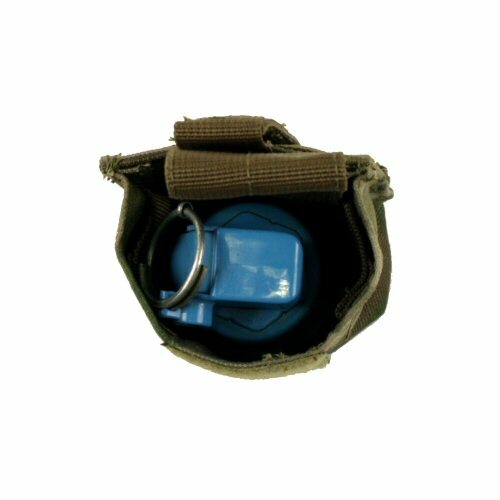 The pouch comes with a velcro flap to go over the grenade which is adjustable for height with velcro. This flap can also be removed completely if quicker access to contents is required. 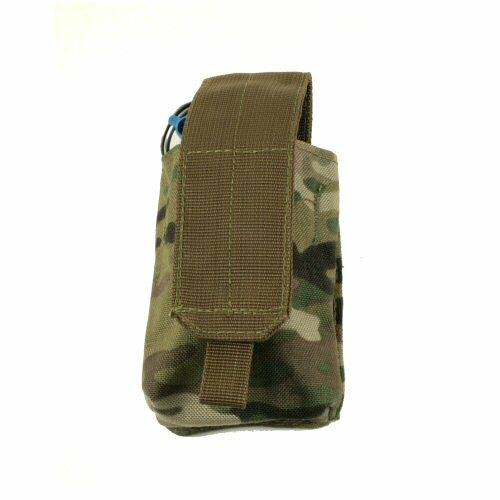 The body of the pouch is 11cm long to allow for a variety of lengths of grenade to fit inside. The interior of the pouch is also fitted with a length of 25mm wide webbing left and right. These loops retain the release handle on the grenade which hangs the grenade in a ready position and prevents rotation of the grenade inside the pouch. The pouch has one rivetted eyelet on the bottom for drainage. It is mounted on the MOLLE base with a single mounting strap which terminates in a press button. Made of genuine Crye Multicam 1000D texturised Cordura. Price is for ONE pouch. Any accessories shown are for illustration purposes only and are not included with the pouch. Rear view of pouch showing the MOLLE strapping on rear. Top down view of pouch showing a training grenade inside. This is not included. 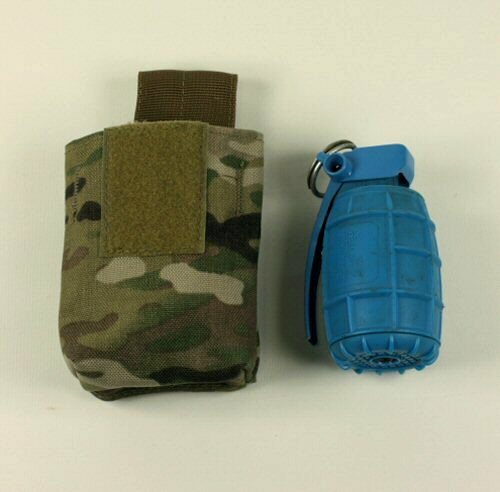 Side by side view of the pouch showing the training grenade.